Hooray! I now think my elephant is a little more discreet as he has “done his business” someplace back in the woods and not on my flower!!! LOL I do like the new tail position and his back foot with the adjustments I’ve made so that pleases me. Have a great evening…and let me know what you are working on!! Anyone doing the Bradley Primitive rug or something similar to this rug? New Hooked Rug Starts Today! 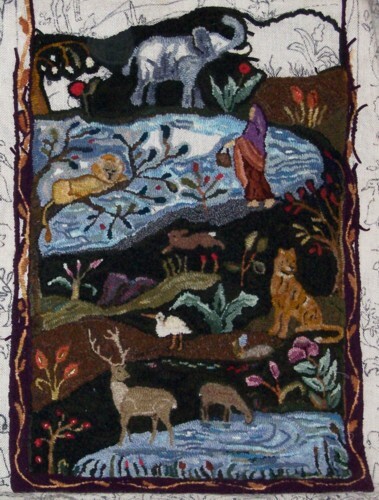 “Helen’s Tapestry”! 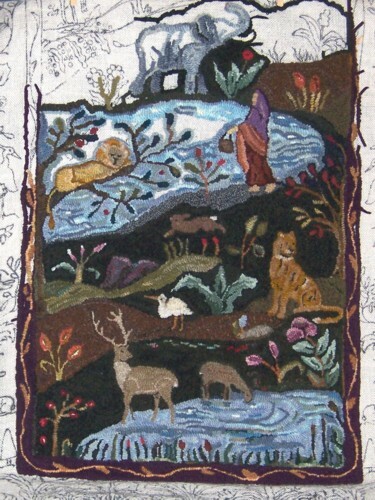 This is part of the large “Helen’s Tapestry” rug patttern that I will be starting today. Watch for the first progress post this evening! This rug is 32 x 54 inches and will be done in the narrow cut wools (#3, #4, #5…and maybe a #6 in some places!!). It is designed by the Harry Fraser Co. and is a lovely pattern. I hope you enjoy the creation of this rug along with me! Hopefully, we’ll all learn a lot…!!! I’m going to start at the bottom of the rug and I’ll post a picture of that part this evening. You can’t see the bottom of the rug here. Author Sunnie-oldcrowfarmPosted on June 28, 2008 Categories artist, color, colour, craft, Creative Life, creativity, fiber art, folk art, folk artist, Helen's Tapestry Rug Progress, old crow farm, rug hooking, rug hooking blogs, Sunnie Andress, Vermont, Vermont art, Women artists, woolTags Helen's Tapestry Rug Progress, hooked rugs4 Comments on New Hooked Rug Starts Today! 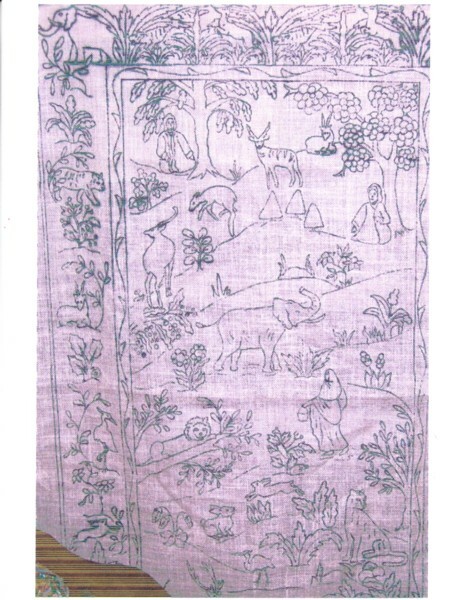 “Helen’s Tapestry”!